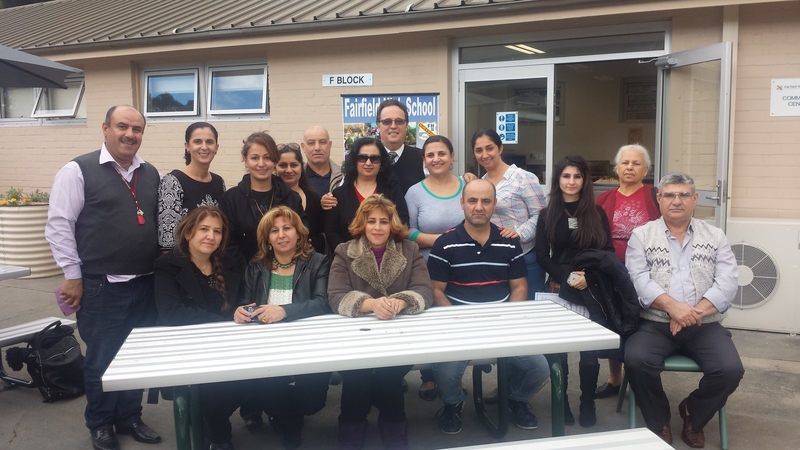 Parents Cafe started off as a breakfast club that was established for newly arrived refugee students in Fairfield Intensive English Centre (IEC) and funded by the Australian Government Department of Health and Ageing. It then evolved into a service providing information sessions for newly arrived refugee parents and and this was later expanded to include high school parents due to its popularity. The program was developed further and the Parents Café “Crossroads Café” was formed to assist primary school parents with the transition to high school. The model was adopted by other schools to assist parents with their transition to the Australian education system. With its popularity and the commitment of its Manager, Mr. Haitham Jaju, the program developed and it expanded its aims to focus on other settlement issues that the parents were facing. In consultation with participants, Parents Cafe expanded its services and established a settlement program that targeted parents and designed programs that included social inclusion and belonging, exploring Australian life styles and systems e.g. health, education, the Australian law, connecting with other services and developing new skills such as English conversational classes, computer classes and trades and skills accredited TAFE courses that parents can access. The UNHCR Commissioner, Mr. Antonio Guterres, visited Parents Cafe in 2012 and acknowledged its contribution to the refugee resettlement program. Parents Cafe became an independent not for profit organisation in November 2014 and was officially launched as Parents Cafe Fairfield Inc. (PCFI) in April 2016 at a souk themed event attended by over 500 people. Today, PCFI continues to serve the school and local refugee community to support and facilitate settlement. We work with partners to deliver information sessions, skills training and activities that enhance community integration and cohesion.